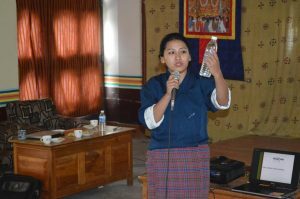 Loden successfully conducted the two-day Loden entrepreneurship crash course on the 27 and 28 of April, 2017 in Trashigang. Every year as part of the Loden Entrepreneurship Program (LEP), to provide equal opportunities for aspiring entrepreneurs all over Bhutan, Loden provides a two day crash course in a different part of the country. 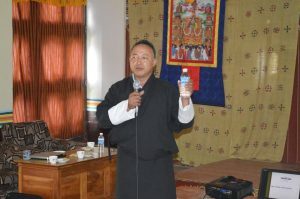 The crash course was conducted in collaboration with the MoLHR Regional office in Trashigang. The event was attended by 95 aspiring entrepreneurs form a wide range of academic background. The participants were introduced to the basic concepts of entrepreneurship, business management skills and marketing fundamentals etc. The participants were very passionate, energetic and were looking forward to starting up new business ventures if they were provided with the necessary support at the initial stage. There were also a whole lot of participants who already had formed business ideas that was worthy of investment. The training will be followed by a call for business proposal later in the year during the autumn LEP competition where 10 to 15 aspiring entrepreneurs will be selected for the funding.